You are here: Home / Articles / Articles / Article Box Left / Why Would Someone Contest a Will? Why Would Someone Contest a Will? The death of a loved one often leaves friends and relatives in a state of uncertainty, especially once the time comes to make sense of everything that is left behind. Everything that was built up and saved by the deceased during their lifetime must now be dismantled, dispersed, and resolved among the living. Did they have children or pets that depended on them? Were certain sentimental items promised to certain people? If they had a fortune, who are the beneficiaries? Most of the time, this process is handled gracefully, but unfortunately, there is a chance that things could go awry to the point where contesting the will is simply a necessary and rightful move. What Does a Will Contest Look Like? Judge may rule the will to be valid, invalid, or partially valid/invalid. Before moving forward, be sure that the will does not contain a no-contest clause before contesting it. This clause is a precautionary measure by the individual who made the will, and it is put there to discourage friends, relatives, and other beneficiaries from contesting the will. 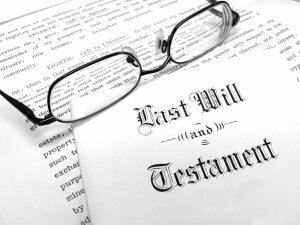 If a beneficiary chose to contest this will and lost, then they forfeit whatever was originally offered to them in the will. They could walk away empty handed. In fact, some will not only walk away empty-handed, but they could also be required to pay legal expenses for both sides in the battle. If it is in the will, take the time to learn if this clause is highly enforced in your state. Some strictly honor this and others do not. Every state is somewhat different in how they handle estate law. In a majority of states, estate assets will be used to pay the defense attorney. Contesting a will can consequently delay estate administration for all beneficiaries. 2) the testator was unduly influenced by a third party. Many consider this to be financial abuse of an elder. Not all wills are alike, and not all wills are ironclad. It is more common than people think to actually contest a will, even if courts might seem hard to convince. 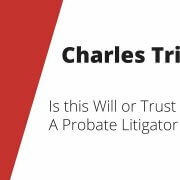 Things have been emotional enough, so at least get peace of mind by hiring an experienced probate litigator to help you successfully navigate through the stress of an inevitably challenging probate case. https://cdn.askthelawyers.com/wp-content/uploads/2018/04/28091011/LastWillandTestament.jpg 675 900 Charles Triay https://www.askthelawyers.com/wp-content/uploads/2018/05/Asset-2-300x40.png Charles Triay2018-06-03 17:15:192019-02-18 16:09:09Why Would Someone Contest a Will?